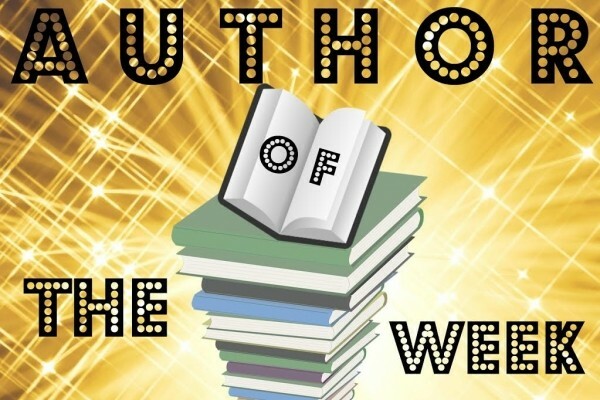 Introducing Roshani Chokshi, YABC's Author of the Week!! Roshani Chokshi is the New York Times bestselling author of Aru Shah and the End of Time, The Star-Touched Queen, A Crown of Wishes, and The Gilded Wolves. Her work has been nominated for the Locus and Nebula awards, and her books have appeared on Barnes and Nobles Best New Books of the Year and Buzzfeed Best Books of the Year lists. Chokshi lives in Georgia, but doesn’t have much of a Southern accent. Alas. For more information, visit her website, www.RoshaniChokshi.com, or follow her on Twitter @Roshani_Chokshi and Instagram @roshanichokshi. From New York Times bestselling author Roshani Chokshi comes a novel set in Paris during a time of extraordinary change--one that is full of mystery, decadence, and dangerous desires...No one believes in them. But soon no one will forget them. For me, the most important thing I’ve learned has been how to keep going. We often think about books as these definitive commentaries on our style as artists, the future of our careers, the print we will leave in the collective imaginations of readers. I don’t think that’s true anymore. Each book I write defines a part of me, but it doesn’t encompass the whole of me. I have more stories to offer the world, and if I’m stuck or trapped believing that I will never reach higher or never fall lower than this, I’m doing a disservice to my imagination. I love how lush and sinister it feels. Kerri Resnick did an amazing job at bringing the atmosphere of the book to life on the cover. THE WICKED SAINTS by Emily Duncan. I had the chance to read it early, and it’s just a wonderful, treacherous dream of a read. Up next, I’m working on Book 3 of the PANDAVA series, which follows Aru and her sisters on their next adventures ☺I’m also working on my first round of revisions for THE GILDED WOLVES sequel. There’s a secret, passion project I’ve been sneaking some words on hither and thither, but for now, there’s not much to say about it. Zofia. She digests the world around her in a vastly different way from me, so I relied on the wisdom of sensitivity readers on the autism spectrum, and also did a lot of research on how she might react to certain sensory stimuli; jokes; touch, etc. She was the hardest to write, but certainly the most rewarding. I’d like to think my superpower is the ability to find good at the heart of things. In reality, I think my superpower is always guessing the expiration date of a gallon of milk. The cover is gorgeous and fits the setting time period perfectly. The storyline sounds mysterious and adventurous and will certainly delight YA readers of this particular genre. Sounds interesting! The cover is gorgeous! The cover is the most beautiful I've ever seen. The synopsis sounds unique and so exciting! This cover is absolutely gorgeous! Can't wait to read it!! I like the book cover design. I think I will like the characters and time period in this story. Gorgeous cover! Cannot wait to read this book!